Prime for development! 8.79 Acre parcel with preliminary plans for Shady Knolls Condominiums. Site plan and engineering 2009-needs updating and final approval from the County. Original concept plan included 5 Buildings with 12 units per building =60 units on this parcel. 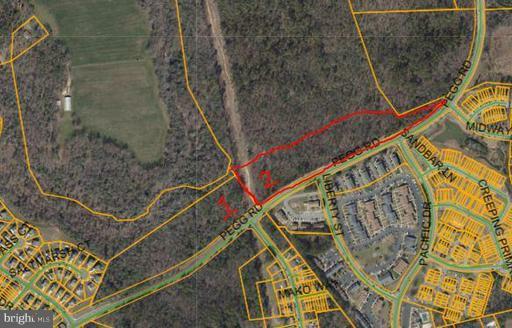 Adjoining but separate 11.20 Acre parcel listed for sale share a planned joint access across from Forest Run Rd. ( MDSM100322 )Total of 120 unit project including both parcels. Public transit road, Parks and PAXNAS close by. Water Sewer service in the area,Seller pays the Metcom EDU (Equivalent Development Unit) for all 60 units to preserve water sewer hookups. Site plan available for review.